***We use the entire sheep sorrel plant, including the roots, in our essiac formula! At bulk-essiac-tea.com, we choose the herbs we need for our essiac formula based on which herb companies can offer us the highest quality organic herbs at the lowest price. All of our herbs undergo extensive testing to ensure quality and purity. 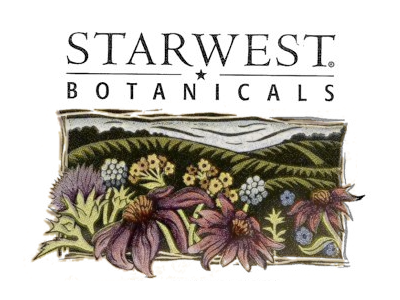 Currently, the eight essiac herbs (blessed thistle, burdock root, kelp, sheep sorrel, slippery elm bark, red clover, turkish rhubarb root,and watercress) come from Starwest Botanicals, Inc. in California. Click here for information on Quality Control of these herbs. Starwest does a phenomenal job of testing to ensure the highest quality herbs every time. We trust no other company to produce safe and effective herbs each and every time. The moisture content of our herbs are: 12-15% moisture content for the blessed thistle, sheep sorrel, and kelp, and less than 10% for the burdock root, red clover, slippery elm bark, watercress, and turkish rhubarb root. Our herbs are incredibly fresh because we sell thousands of pounds of essiac every month. We turn over our entire inventory of herbs every 2-3 weeks. Moreover, sometimes when we order our herbs from the suppliers they cannot provide us with them because they haven't received their newest shipment yet. This means that our suppliers' herbs are fresh, too. They can't keep up with all the essiac we are selling! Many customers have commented on how fresh our herbs look, smell, and taste. If you purchase essiac from an outlet that sells more than one herbal formula, you're much more likely to receive stale herbs. We carry essiac and only essiac at bulk-essiac-tea.com. You will never receive stale herbs from us! Powdered herbs are simply regular herbs that are crushed, or pulverized, to form a powder. The herbs look like what you would see inside a tea bag. Powdered herbs make for a more potent brew of tea. This is because there is more surface area on the herbs for the extracts to seep into the tea. Anything in powdered form mixes easier and more thoroughly (Kool-Aid comes as a powder, not a stick, for a reason!) Furthermore, powdered herbs are fine enough that they can remain in the tea and be consumed along with the tea. Herbal medicine is not an exact science--no one knows for sure how some of the herbs work their magic. We feel more comfortable when you consume the herb particles in addition to the tea (which is only possible when you brew powdered herbs). With powdered herbs, you are more likely to get the full treatment effect because you can consume the herb particles in addition to the tea. These herb particles might contain beneficial compounds. This is a similar argument to those who tell you to eat the whole fruit versus drink the juice or swallow a capsule. By consuming the herbs along with the tea, you won't miss out on any of the important chemical compounds. In fact, we believe so strongly in the powdered form of essiac that we feel we can't ethically sell you anything else, so we don't carry anything but powdered herbs. 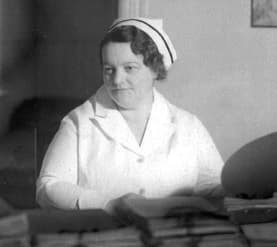 The first essiac in use by the Canadian nurse Rene Caisse was eight herb essiac. Four herb essiac (with three herbs drank as a tea and one herb injected) was tested for a brief period of time but was not widely used, and was not accepted as a superior formula. In our years of experience with essiac, four herb essiac is not nearly as effective in improving health. Approximately 80% of our customers believe eight herb essiac is a component of their recovery from cancer, diabetes, and other health problems. We haven't seen nearly as much success in those using four herb essiac. The current-day eight herb essiac formula was specifically designed to be most effective in improving health and eliminating toxins in the body when taken orally as a tea. In the past, other formulas including four herb formulas were used but they were designed to be administered partially by injection.